Transactions on eBay have always gone smoothly for me. I even wrote about the process. (Like I’m an expert, hah!) My most recent foray into selling on this venue has not gone well. Does this happen to everyone eventually? 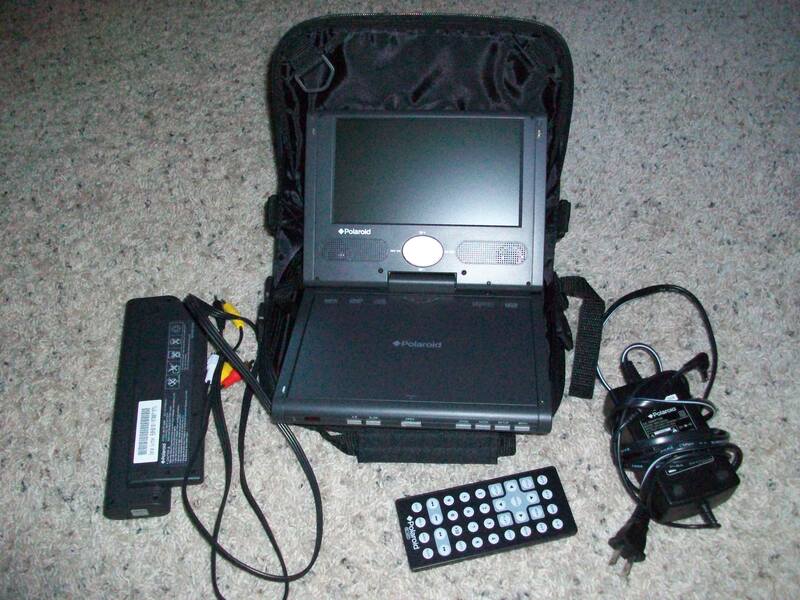 A portable DVD player sold right at the end of the listing period for the minimum amount. The very next morning I had a message from the buyer asking when I was shipping it as they wanted it for a vacation. It was a little irritating as the terms were shipped in three days but I had already planned to get to the post office that day. Then I get an email a few days later that it didn’t work? WTF! It worked the last I used it (many months prior) but just to make sure I asked the buyer if she had charged it first. The answer was yes and did I want her to throw it away or returned. Uh, if you want a refund…SEND IT BACK!!! Okay, I didn’t word it that way. Instead I nicely apologized and stated it needed to be returned in order for a refund to be processed (which is the terms on my listing ). The box returning the DVD player arrived today. The power cord is missing. I emailed the buyer that I received the box and the power cord was not included. It needed to be returned prior to a refund. It has been a challenge the whole way through this transaction with the buyer. Have you had less than satisfactory experiences on eBay? How did it end up? UPDATE: The power cord was returned and I’ve confirmed the DVD player is not reading discs. The laser lens is either dirty or damaged. I refunded the buyer’s money and will work on getting the DVD player going (if possible). I don’t usually buy things on eBay; the last time was for a specific toy that my son wanted for Xmas. I couldn’t find it anywhere else so purchased it on eBay (from someone located in Malaysia) and it worked out fine. Sorry about your DVD player experience. I suppose once in a while things don’t go as smoothly. Malaysia would make me nervous so glad it worked out. I just thought it would be easier than dealing with someone trying to negotiate via Craigslist. Next time, I’ll try that first though. It’s quicker! How frustrating! I wonder if they just wanted the power cord for their existing DVD player? I hope it works out for you! I was starting to think that but she did email me back today that she found it plugged into her power strip and will ship it. I’ll update everyone in a week or so when it’s resolved (one way or another). I don’t buy or sell anything on eBay. I hate the entire auction thing… find it annoying. When I’m ready to buy something, I price shop for a bargain, then buy it. I don’t want to have to bid and compete with 1000 other people for it. Don’t have the time or patience for the auction thing. I’ve sold lots of stuff on eBay and have had a few bad experiences. I primarily will sell high end cosmetics. the worse buyers are the ones who get order multiples and then claim to have received less in the package. The most egregious one was a lady who ordered 3 dermablend products. i only had the three in stock and shipped them out to her. a month later she said that she never received them and that the package was empty when she got it. i refused to refund her. one month after that she said that ONE of the three has empty. I told her to send it back. i received it 2 weeks later and you can see where she had pried the item open at the side, emptied the product and tried to seal it back. i partially refunded her for one even though i knew that she was a liar. i keep that item on my desk every day as a reminder. my brother makes his living via eBay selling electronics. you have never seen the kind of thievery and shams as he has seen when selling electronics. safe to say that he’s shifted more and more OFFLINE now. Sandy, I guess we should be glad that most of the experiences go well. I state upfront on the listing that the product must be returned within 7 days for a refund. I think electronics would attract more shady people than other type of sales. They would tend to be higher cost items.